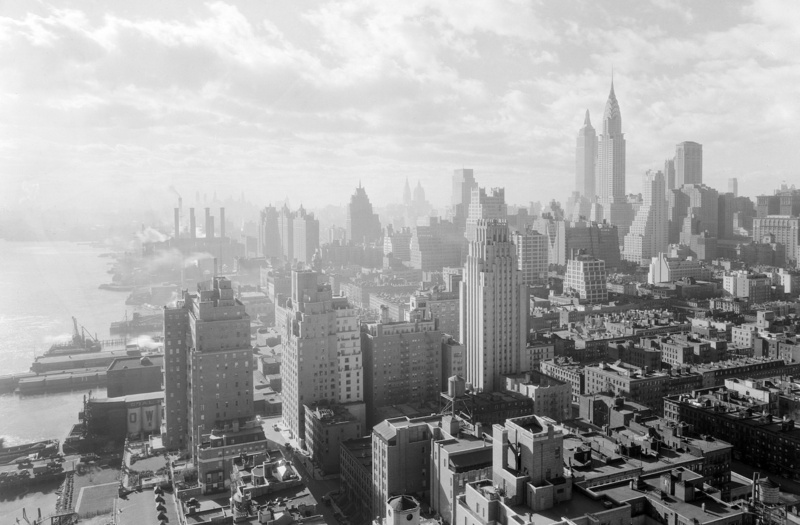 Midtown Manhattan skyline, looking South, 1931. Using examples from architecture, film, literature, and photography, this interdisciplinary book examines the place and significance of New York City in the urban imaginary between 1890 and 1940. In particular, the project draws on recent thinking in cultural analysis and urban studies to consider how and why certain city spaces—including the skyline, the sidewalk, and the subway—have come to emblematize key aspects of the modern urban condition. In so doing, the project also considers the ways in which cultural developments in late nineteenth- and twentieth-century New York set the stage for current responses to a variety of urban crises now facing the city, including post-disaster recovery, the renewal of urban infrastructure, and the redevelopment of public space. Christoph Lindner is currently dean of the School of Architecture and Allied Arts at the University of Oregon and honorary research professor in cultural analysis at the University of Amsterdam. Previously, he was professor of media and culture at the University of Amsterdam, where he launched and directed the ASCA Cities Project and served as founding director of the Netherlands Institute for Cultural Analysis (NICA). From 2010–14, he was also director of the Amsterdam School for Cultural Analysis (ASCA), a research institute and doctoral school focused on the interdisciplinary study of contemporary society, politics, and culture. In addition, he has held visiting appointments at various universities internationally, including New York University, the New School, University of California (Berkeley), University of Edinburgh, University of Freiburg, Queen Mary University of London, University of Venice, and the University of London Institute in Paris. His recent book publications include Imagining New York City (Oxford University Press, 2015), as well as the edited volumes Global Garbage (Routledge, 2016), Cities Interrupted: Visual Culture and Urban Space (Bloomsbury, 2016), Inert Cities: Globalization, Mobility and Suspension in Visual Culture (I.B. Tauris, 2014), and Paris-Amsterdam Underground (Amsterdam University Press, 2013).